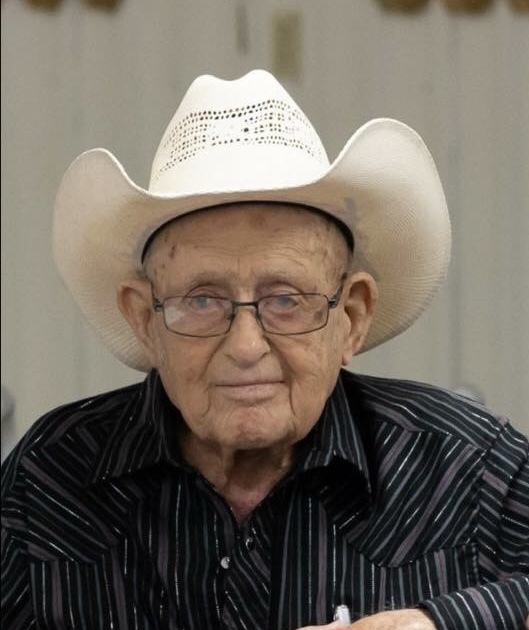 Harold John Katz, 96, was born August 17, 1922 in Offerle, Kansas to Henry and Mary (Nall) Katz in the family home where he was raised with 2 brothers and 3 sisters and resided until his passing on September 17, 2018. Harold attended a country school near the family homestead. After school he farmed then worked with the Civilian Conservation Corps (CCC) for many years. 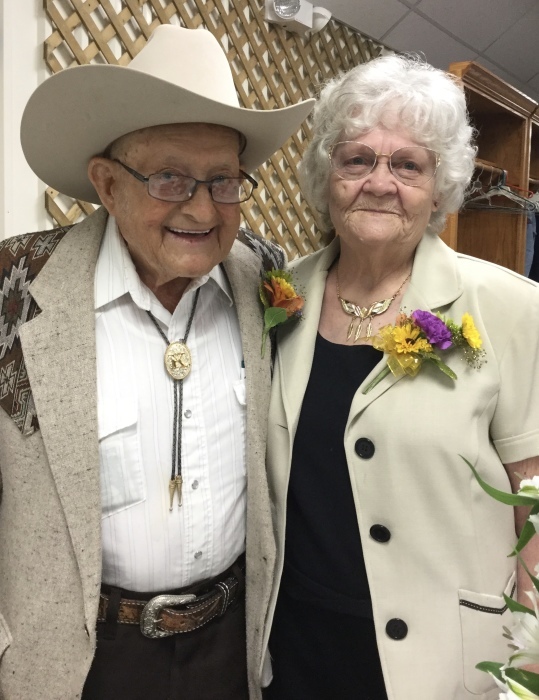 On June 4, 1947 he married Luetta May Lancaster, daughter of Fred and Emma (Dolechek) Lancaster at St. Joseph Catholic Church, Offerle, Kansas. 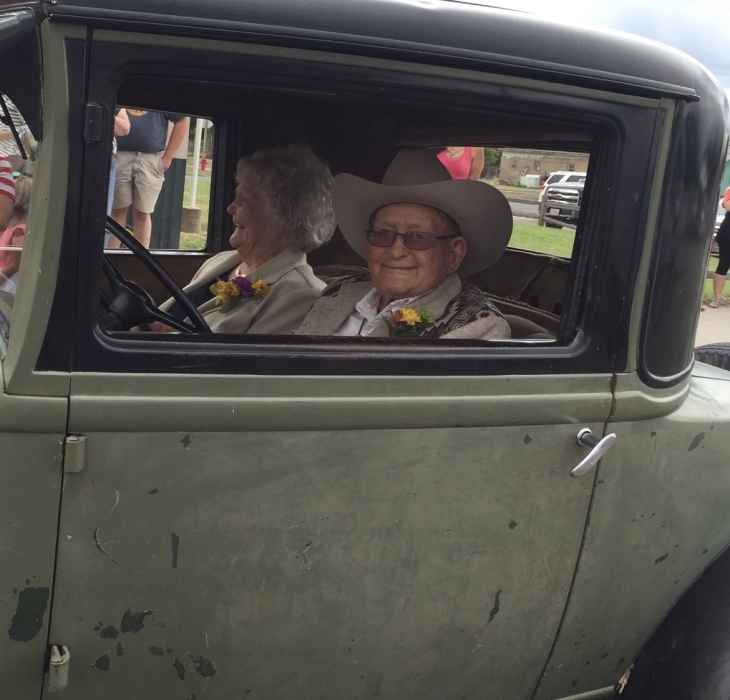 They were married for 71 years. 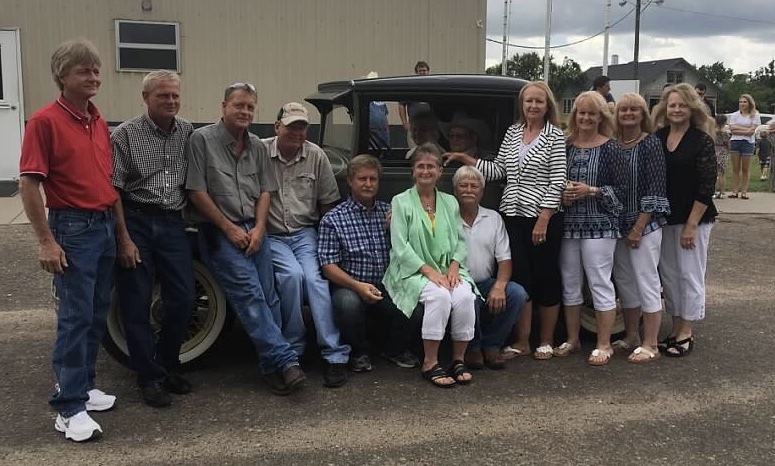 They raised their family in Offerle and to this union 11 children were born; Rox Ann, Brenda, Karla, Karen, Harold Jr., Marva, Jimmie, Freddy, Clifford, Kenneth, and Brock. 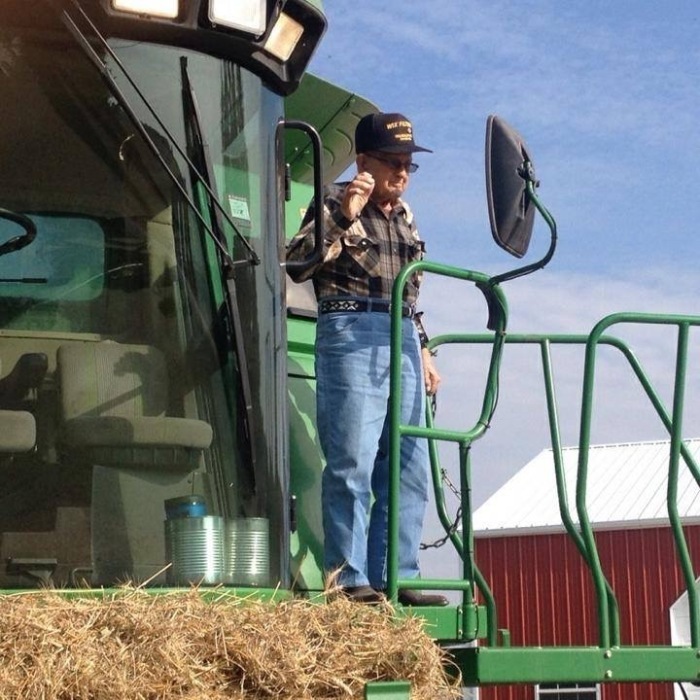 Harold was a member of the St. Joseph Catholic Church, lifetime member of Kansas Farm Bureau, served on the Edwards County Farm Bureau for many years, and just this year received the 100 year farm award from Kansas Farm Bureau. Harold was also a member of the American Hereford Association, a farmer, and a rancher. In his younger years Harold moved houses and was in construction, including the Offerle schoolhouse as well as elevators in many towns. Harold always had a humorous story to tell and anyone who knew Harold, knew his philosophy - to get a room full of people to shut up... feed em. Survivors include his wife, Luetta of the home; daughters Rox Ann (James) Bradley, Brenda (William) Britton, Karla (Victor) Kurth, Karen (and the late J.D.) Froetschner, Marva (William) Burr; sons Harold Jr. (Sharla), Jimmie (Venica), Freddy, Clifford (Kelly), Kenneth (Lori), and Brock (Kellie). 26 grandchildren; Cynthia, Scott, Krystal, Billy, Katie, Andrew, Josh, Travis, Trampas, Trevor, Clay, April, Erin, Dustin, Jeremy, Heath, Colten, Chasen, Tyler, Tara, Erin, Brooke, Ashley, Amber, Cole, and Shaylen. 50 great-grandchildren and 9 great-great-grandchildren. He was preceded in death by his parents, brothers and sisters, and a son-in-law James D. Froetschner. The vigil service will be held at 7:00 PM Thursday, September 20, 2018 at St. Joseph Catholic Church, Offerle. Funeral services will be at 10:30 AM Friday, September 21, 2018 at St. Joseph Catholic Church with Father John Strasser presiding. Burial will follow at the Old St. Joseph Catholic Cemetery. The family suggests memorials to the St. Joseph Catholic Church in care of McKillip Funeral Home. Condolences may be sent to Luetta Katz 1236 20th Ave, Offerle, Kansas 67563.